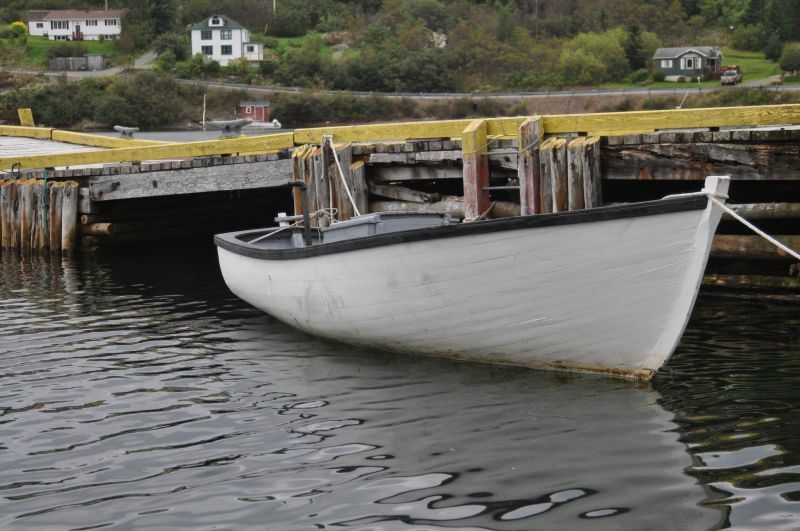 WBMNL Director Frank French asks Calvie Meadus about the flare in the bow of this motor boat. 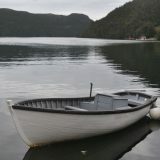 Calvie used spruce for timbers and constructed the keel, deadwood, sternpost and counter strakes from juniper. 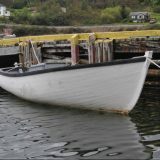 She was planked with spruce from the garboard to just above the waterline, and with fir planks the rest of the way up to the gunwales. 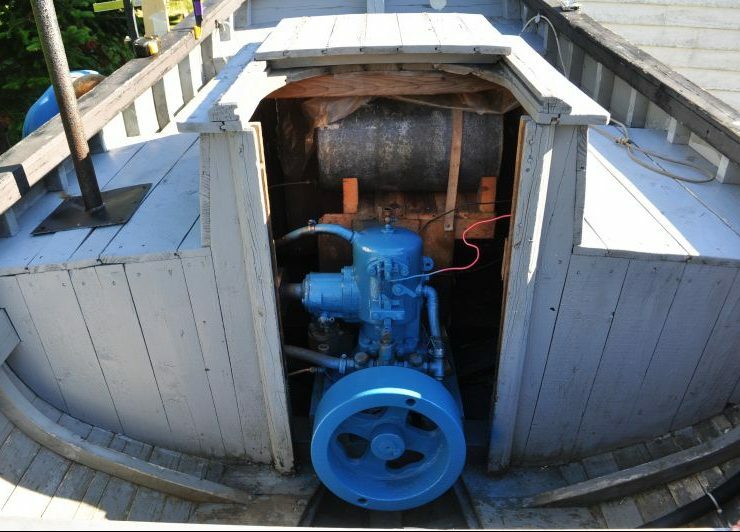 Designed for a three horsepower marine engine, this motorboat has a hull speed of just over five knots. 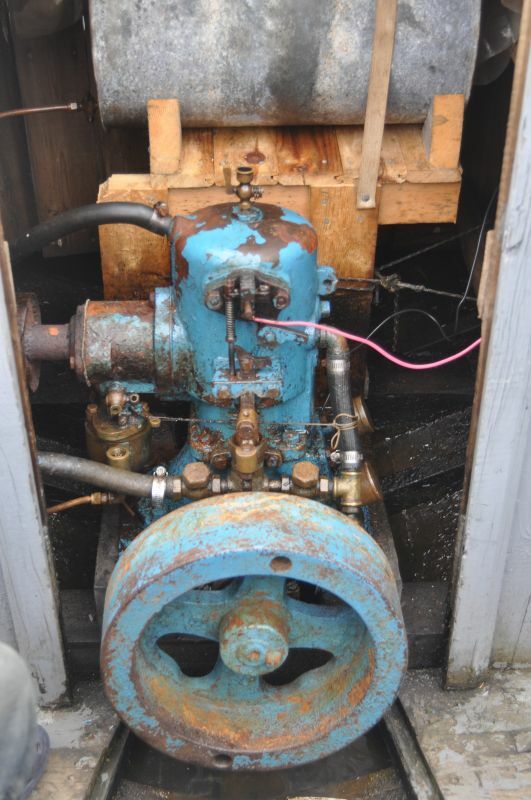 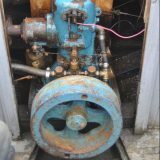 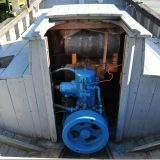 She is outfitted with three horsepower Atlantic make and break spark marine engine built by the Lunenberg Foundry in Nova Scotia. 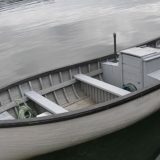 As he does with all his motorboats, Calvie included tiller lines (reins) to allow the boat to be steered while tending to the engine. 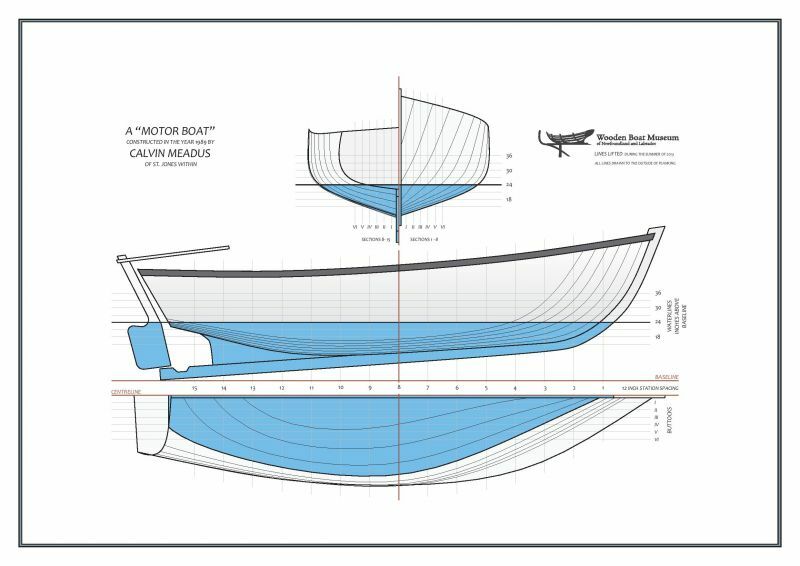 Kevin describes the bow as having “a sharp entry and bulge, with big flare above the waterline.” This prevents pounding and causes her to “stop and rise gently” with the waves. 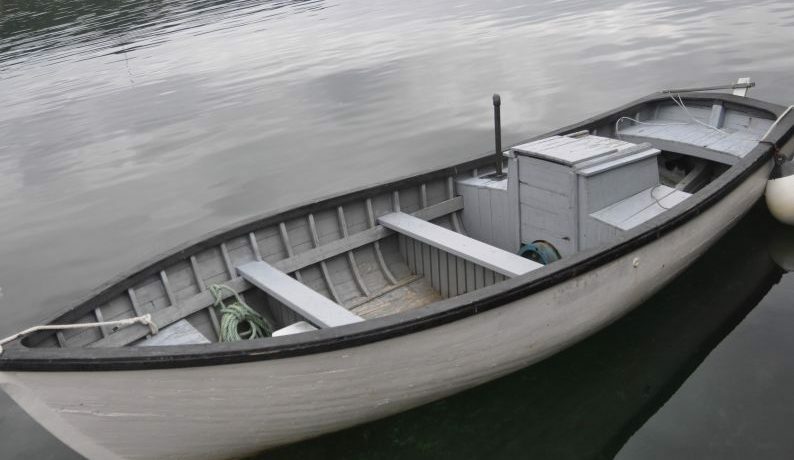 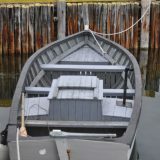 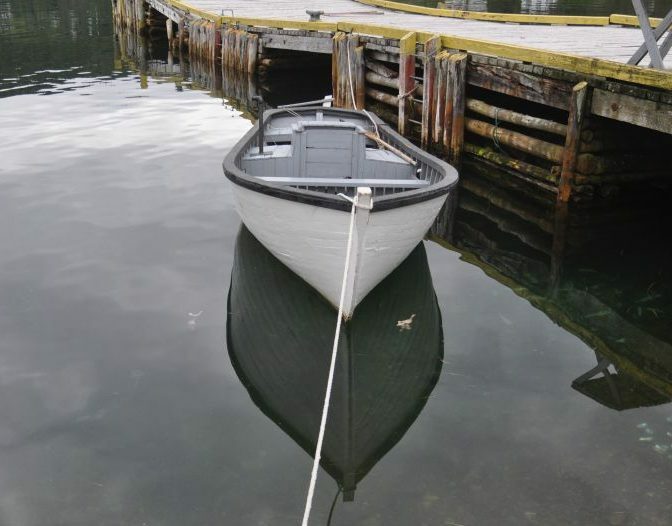 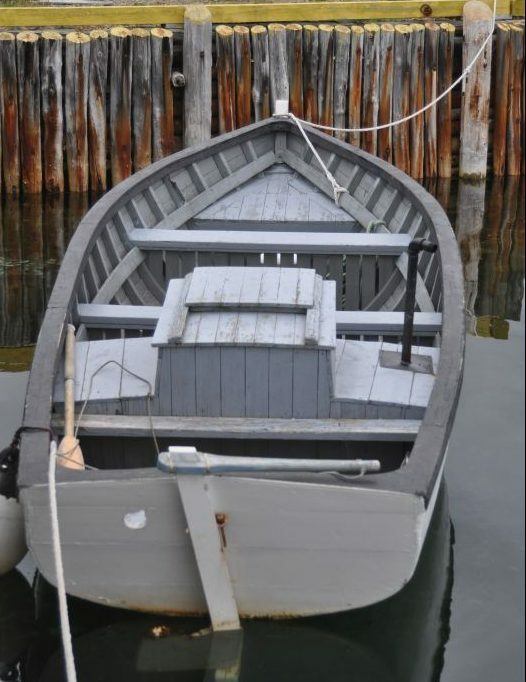 She’s built with little deadrise in her transom, which prevents the boat from “squatting”, a term used to describe when a boat sinks down in the stern and causes the bow to rise when under power. 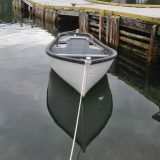 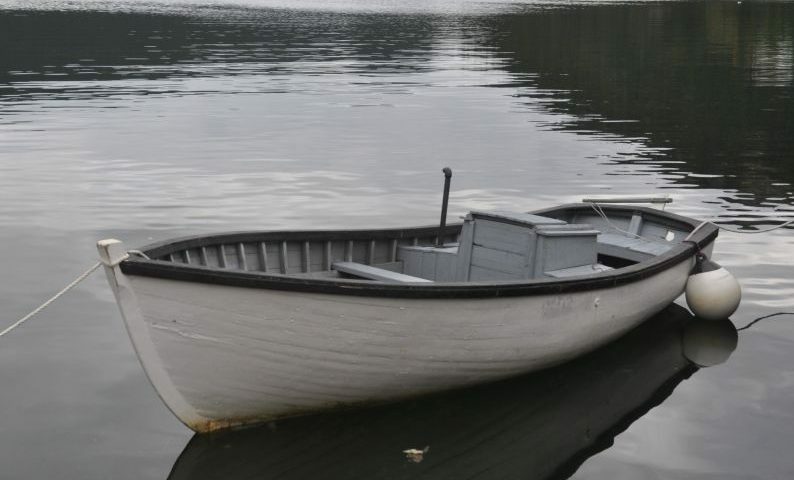 This is the second to last motorboat built by Calvie. 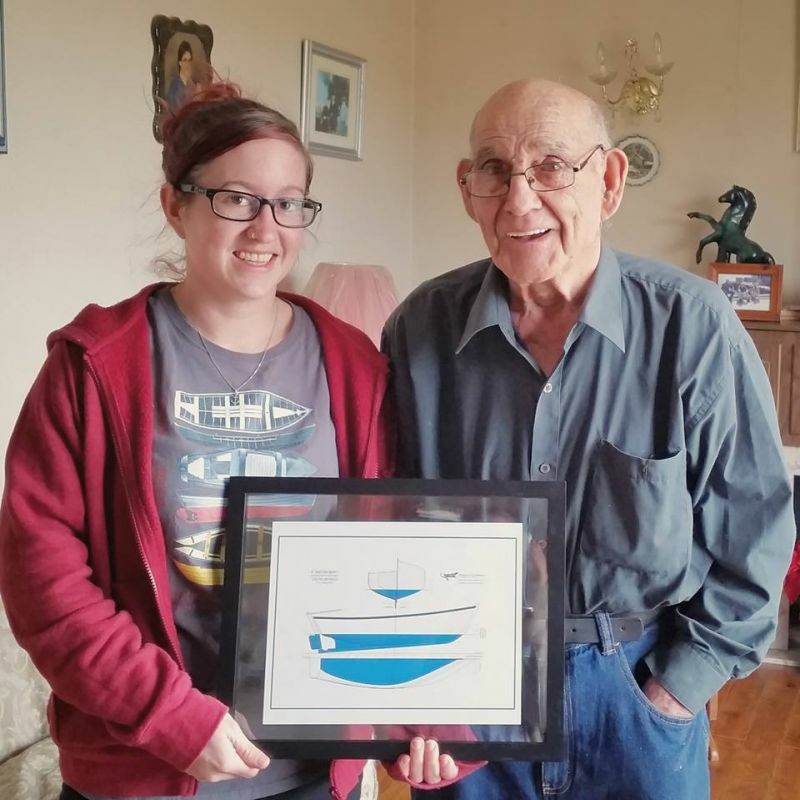 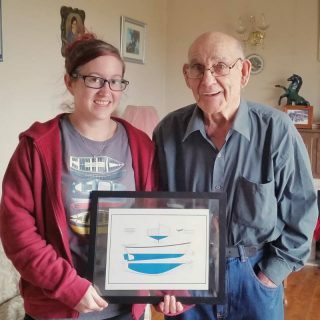 Since 1989, he’s built many speedboats and rodneys, helped with the construction of his son’s Wilf’s fifty-eight foot longliner, and repaired boats of all kinds.